Dwight Byron Jackson obituary. Carnes Funeral Home. 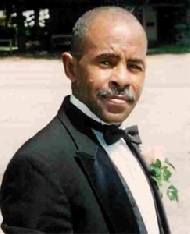 Dwight B Jackson,62 passed away on August 24,2015 @ 9:25 pm peacefully at home. He was the husband of Michele Jackson. They shared twenty years of marriage together. He was born in Philedphia, Mississippi, were he was the son of James P. Jackson and Hazel Jackson and live with brothers James Jackson, Bobbie Jackson, Derrick Wilkerson, Pat Wilkerson, Milton Wilkerson and Billy Jackson and sister Linda Hall. He attended and graduated from Wymore High School were his accomplishment were in sports such as baseball, basketball. football and track & field. He was in the military as Navy solider. His last employment was with the VA Hospital for seven years custodian. He was a member of church and he enjoyed reading, fishing, going to the beach, and baraque on the weekends . He will be remember as handsome man and good father, wonderful husband, and friend who you can talk to and feel comfortable with. He is survived by spouse Michele Jackson, children: Mitishi Jackson, Isaiah Jackson, Shaba Jackson and Lydia Jackson grandchildren:Kemari Soto, Keyani Nelson, Kayla Nelson, Maximillian H. Nelson Jr. and William Dixon. The graveside service will be September 3,2015, at 10:00 am, at the Veteran Memorial Certmenery located at 10410 Veterand Memorial Drive, Houston,Texas 77038.